Back home, high school seniors sell oranges to raise money for their senior trip to Washington, D.C. My cousin is a senior this year, so Jordan and I bought a case of oranges. A case, y’all! That’s like 48 oranges. Oranges galore!!! We gave several away, but that still left us with a fridge full. 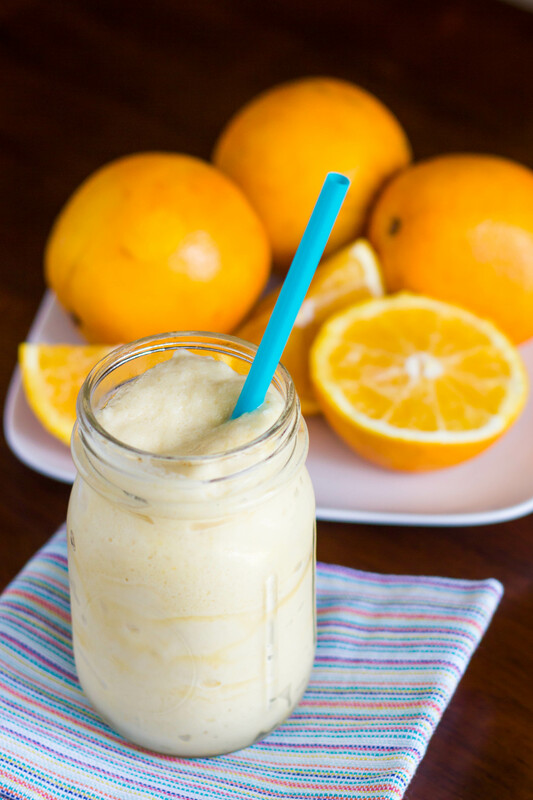 I’m ready to reclaim my fridge, so oranges in all the things ;). 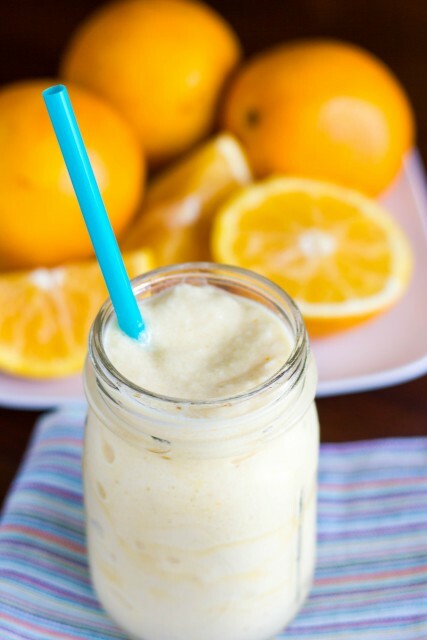 I decided to add some orange to my morning protein smoothie for an orange creamsicle flavor. Soooo good! I started with half of a frozen banana, because frozen bananas make the smoothest, creamiest smoothies. 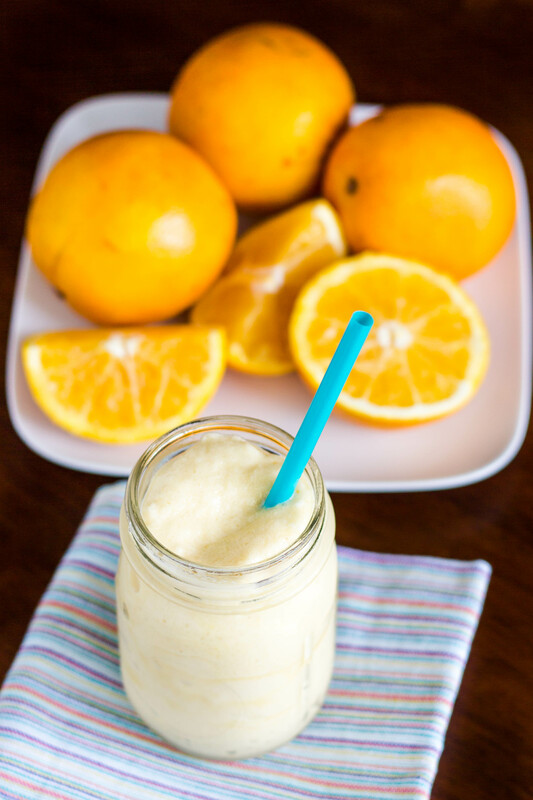 Then, I added some orange zest and orange segments, along with a scoop of my favorite vanilla chai protein powder. It was the perfect balance of orange and vanilla, and a great, low-calorie, protein-packed breakfast (or snack). Enjoy! Combine all ingredients in blender and puree until smooth and creamy. Serves 1. Nutritional Info: 220 calories; 0 g fat; 34 g carbohydrates; 5.5 g fiber; 18 g protein.